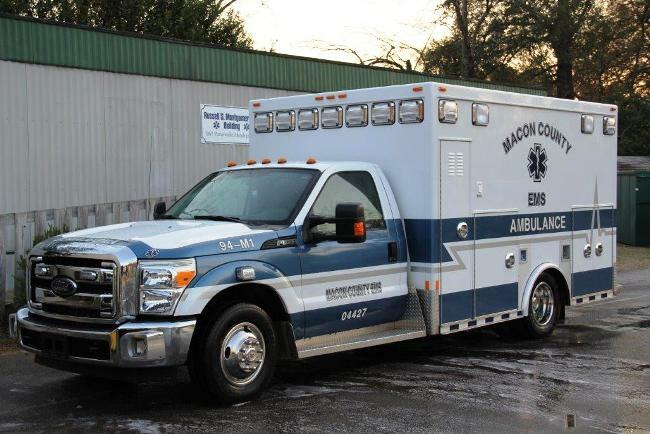 With modern advanced life support ambulances, Certified Paramedics and EMTs, Macon County EMS provides emergency medical transportation and patient care 24 hours a day. 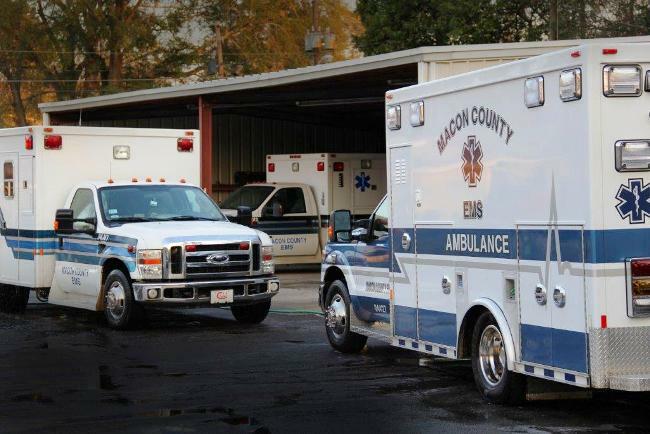 Macon County EMS is licensed by the Georgia Department of Human Resources and provides primary 911 EMS service to all of Macon County with a population of more than 14,000 people spread over 403 square miles. EMS personnel provide service to residents of four municipalities in the county and mutual aid service to surrounding counties. In addition to emergency coverage, Macon County EMS provides coverage for many venues needing an ambulance present during special events. The Paramedics and EMTs work closely with first responders from the Macon County Fire Department and Sheriff's Office as well as police and fire personnel in Oglethorpe, Montezuma, Marshallville and Ideal. To assure rapid medical treatment all emergency calls are dispatched by the Middle Flint Regional 911 Center. The EMS operates as a County run Service located at 515 Sumter Street in Montezuma. They transport patients when needed to area facilities including the Medical Center of Central Georgia in Macon, Phoebe Sumter Hospital in Americus, Perry Hospital in Perry, Houston Healthcare Hospital in Warner Robins, Medical Center of Peach County in Byron, and Phoebe Putney Memorial Hospital in Albany. Dial 911 for all emergencies and 478-472-6053 for non-emergencies. Emergency calls are dispatched by the men and women of the Middle Flint Regional 911 Center.